A missing child is a nightmare to all parents, and never more so than in the Amish community, where family ties run deep. When the search for the presumed runaway turns up a dead body, the case quickly becomes a murder investigation. And chief of Police Kate Burkholder knows that in order to solve this case she will have to call upon everything she has to give not only as a cop, but as a woman whose own Amish roots run deep. Kate and state agent, John Tomasetti, delve into the lives of the missing teen and discover links to cold cases that may go back years. But will Kate piece together all the parts of this sinister puzzle in time to save the missing teen and the Amish community from a devastating fate? Or will she find herself locked in a fight to the death with a merciless killer? Review: I am fascinated by the Amish culture and love these books. 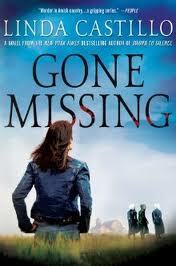 This latest book in the Kate Burkholder series I couldn't put down. Fast paced, and haunting I loved every minute of it. In search for someone who is abducting young Amish girls John enlists Kate to help him by speaking to the families of the missing girls. What Kate uncovers starts to hit a little too close to home. Most of the girls were rebellious, didn't feel they fit into the Amish community and had considered leaving. For John the case hits close to home because the girls are close to the age that his children would have been had they not been murdered along with his wife several years ago. Fighting their own demons Kate and John must now find a serial abductor who is working within the Amish community. Given that the Amish don't trust the English and are loathe to give any details that might make their children look bad (or normal to most people's standards) it is hard to find a connecting thread that ties all the crimes together to give them a good enough lead to find them. As more women are abducted Kate finds herself personally involved. I'll leave it there because the ending was really good and I don't want to slip up and give anything away. If you are as fascinated by the Amish as I am these books are a good fit. You catch a glimpse inside the plain life and learn that evil doesn't necessarily skip them just because of their beliefs.